My husband and I spent part of a recent European vacation in Croatia and Slovenia. While we would be coming from Venice and both countries had great proximity to Venice, I was thrilled when I started doing research to learn that both countries had thriving wine industries. That certainly made it easy! 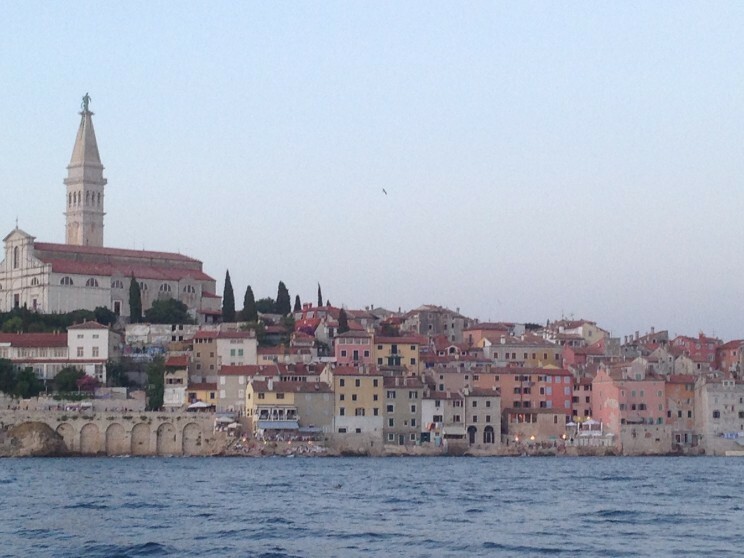 So after a couple of days in busy and crowded Venice, we took a passenger ferry on over to Rovinj, Croatia and settled in. 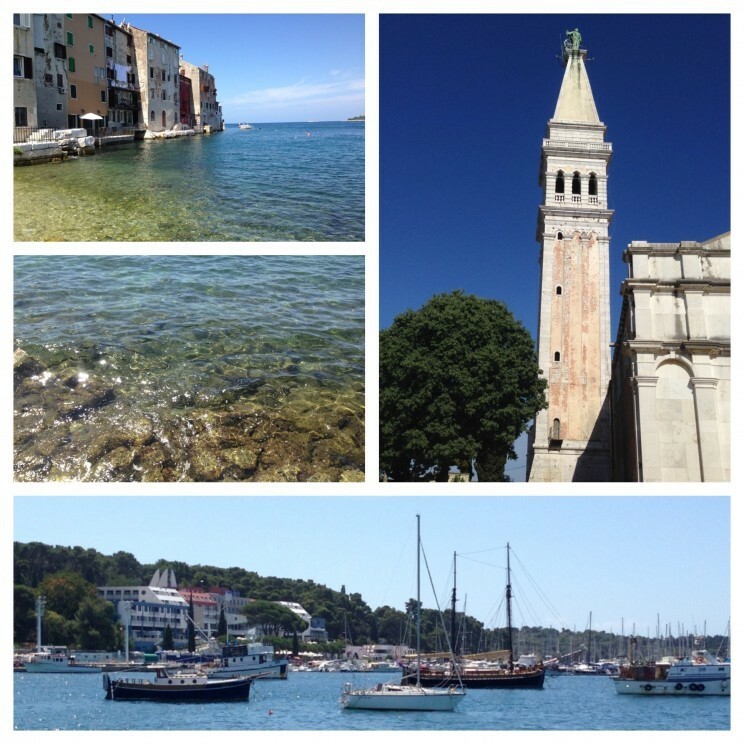 The coastal town of Rovinj is beautiful and so charming and sits right on the crystal blue waters of the Adriatic Sea. I would go back there in a heartbeat. Our hotel base in Rovinj was the newly remodeled Hotel Adriatic and I just can’t say enough about this hotel. Never have I been to a hotel where every single employee was genuinely happy to see you and wanted to assist you in whatever way they could. I have honestly never felt so welcome at a hotel. Rovinj is located in Istria, which is a peninsula in the Adriatic Sea made up primarily of Croatia (about 90%), but is also comprised of Slovenia and Italy. 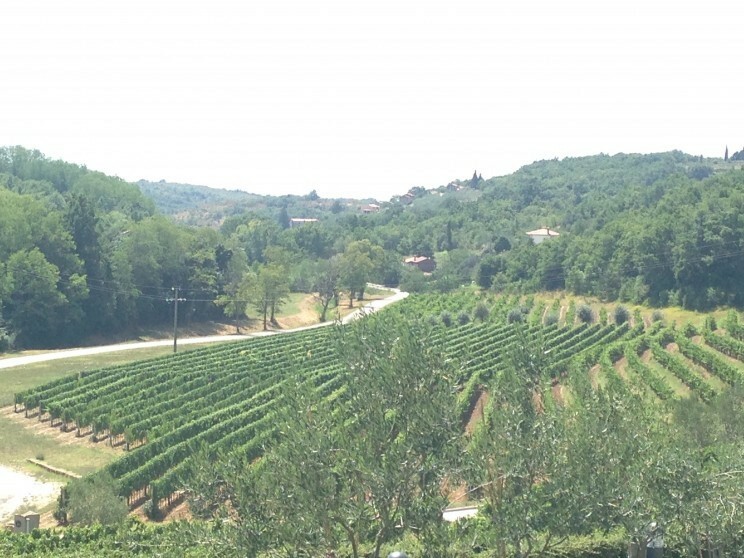 And Istria has a great wine tradition – sometimes compared to Tuscany or Napa Valley – and is becoming more and more known the world over for it. Walking around the old town of Rovinj, it was apparent that they take their wine seriously as several shops and vendors had various wines (and truffles – more on this later) for sale. 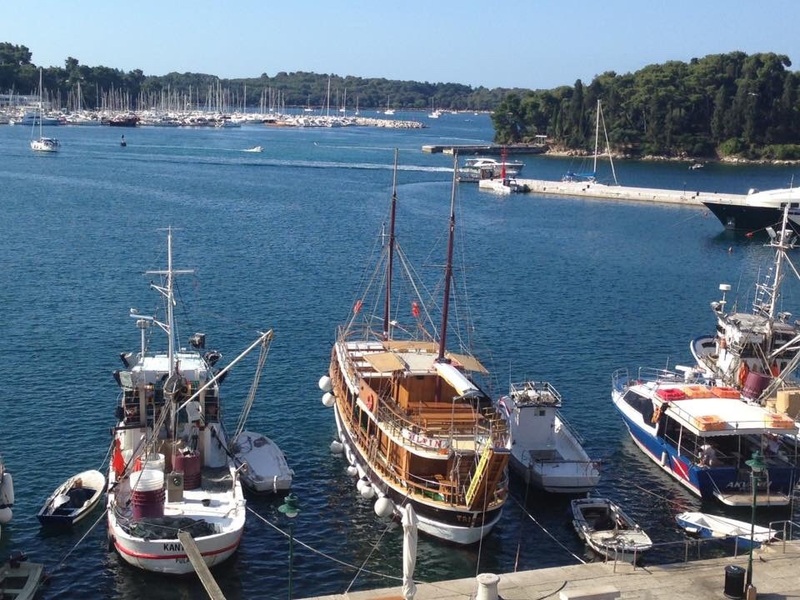 Our first official Croatian wine experience was dinner our first night in Rovinj. As we are both huge fans of Pinot Noir, we thought we’d try one of the local ones on the wine list. 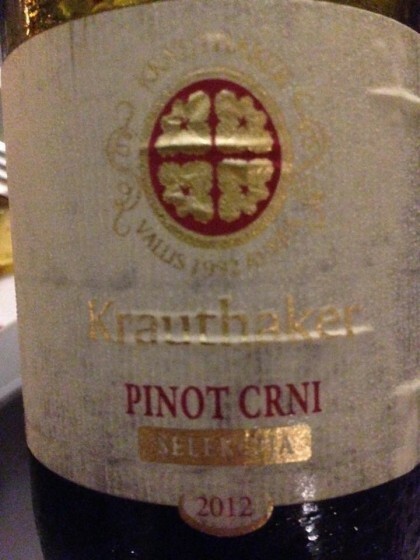 We had a 2012 Krauthaker Pinot Crni (“Pinot Noir”) which was from the Slavonia wine region of Croatia. This was definitely one the heaviest Pinots I’ve ever had. The dark, inky color reminded me more of a Petite Sirah. It was big, smoky and a bit spicy, but still managed to be smooth. It’s not a Pinot I’d drink on its own, but it can definitely hold its own with some hearty red meat. 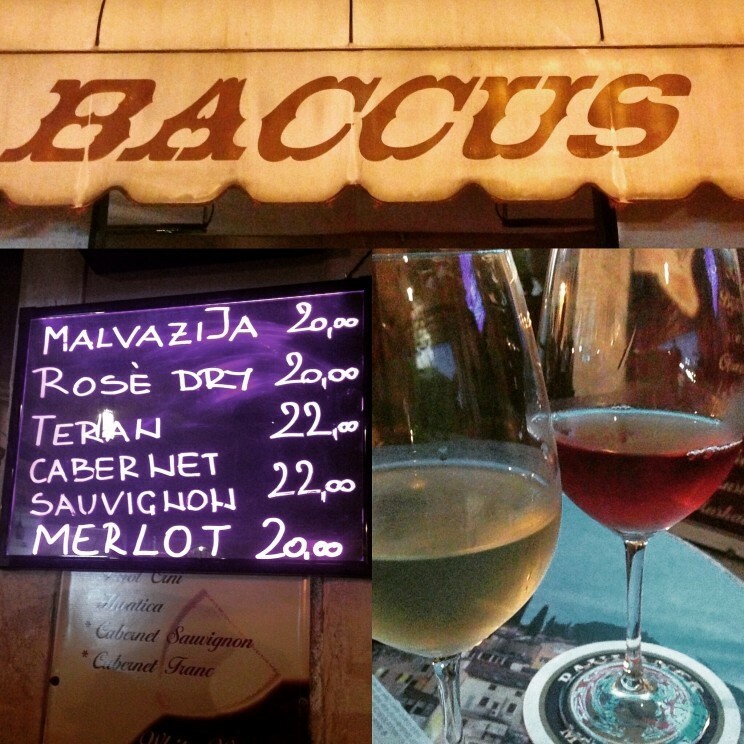 We were itching to have some more local wine so we found a quaint little wine bar called Bacchus around the corner from the hotel. 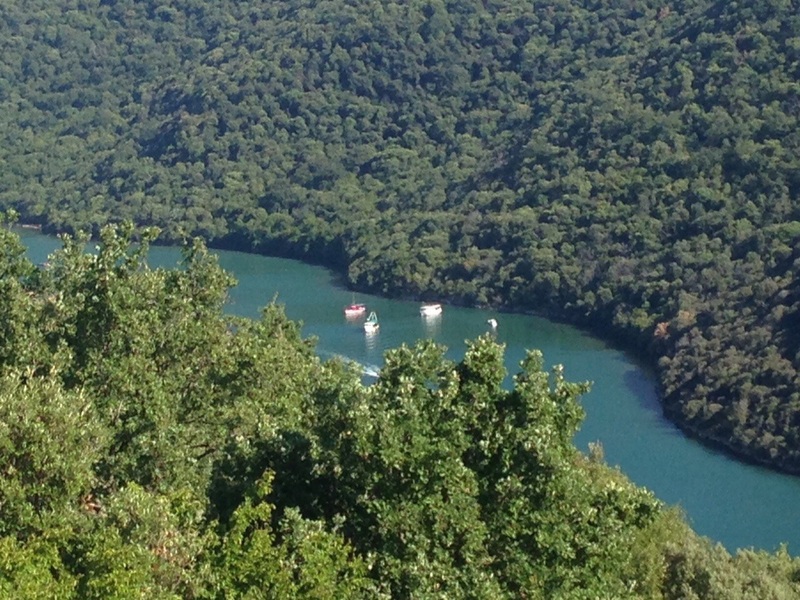 We sat outside and just people watched and enjoyed the scenery – as well as tthe Malvazija and Teran. 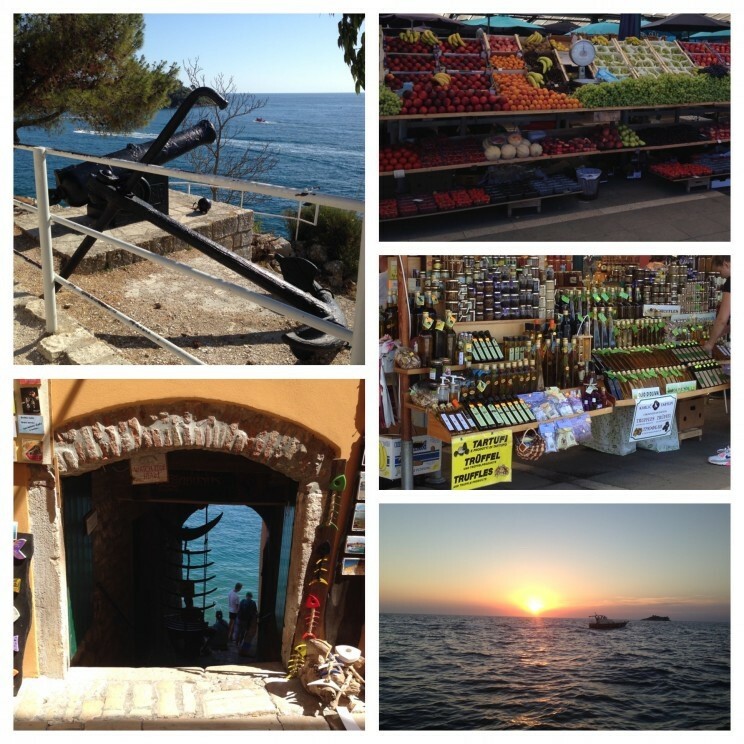 While we were certainly looking forward to the wine tasting in the days to come, Rovinj itself had so much to offer. Everywhere you looked was a postcard view. I absolutely loved walking around the market area and tasting all the yummy truffles and olive oil. After hanging out in Rovinj for a couple of days, it was time to do some wine tasting. Through a travel agent, we hired a driver (Croatia has zero tolerance level for alcohol) to take us to some area wineries. OK, and let’s be real – who wants to drink wine and try to find your way around a completely different country?! 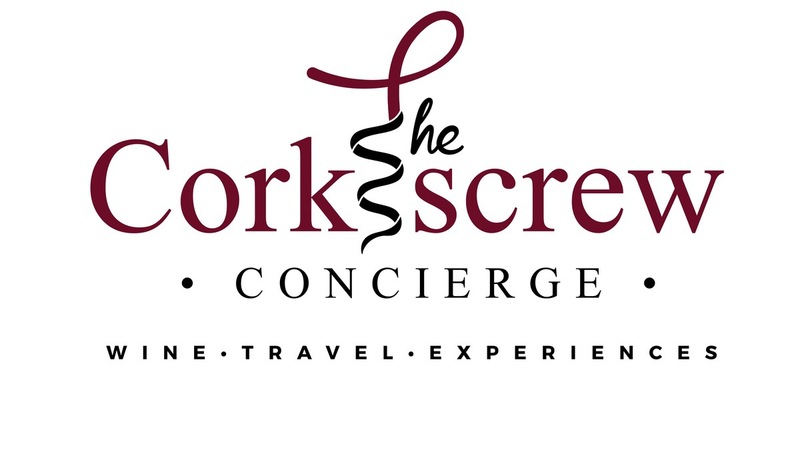 There are also some local tour companies that take groups to area wineries as well. 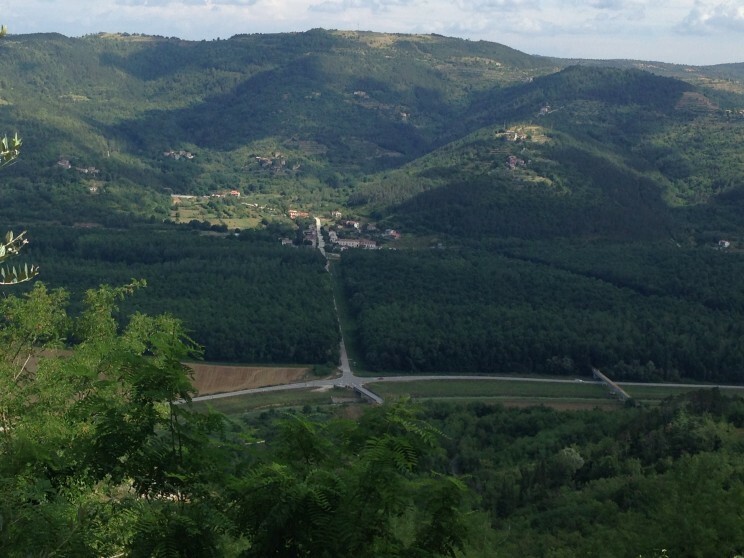 We started our Croatian wine experience in the hill town of Motovun, which is the birthplace of racecar driver Mario Andretti and is also known the world over for its film festival. 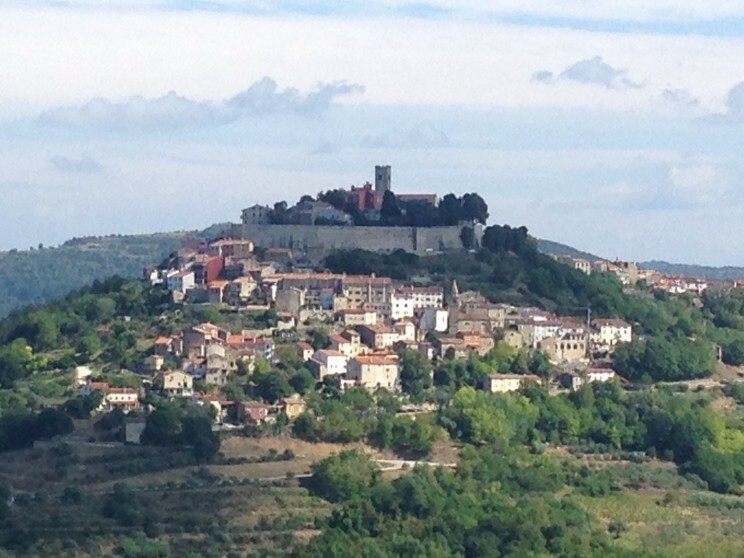 Motovun is ground zero for Istria’s wine and truffle industries. 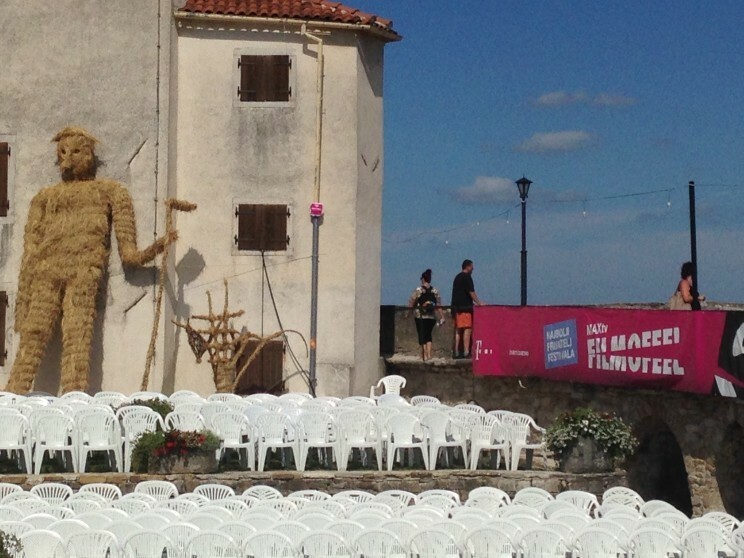 They actually had just completed the film festival so some of the items were still around. While walking throughout the walls of the town, we took in the panoramic views from the hilltop town, browsed the many shops, and ended up tasting and then buying some brandy. Croatia is known for its production of various spirits, one of which is a mistletoe brandy called Biska. I’m a huge fan of brandy (it has grapes, right?) so when we saw a small shop in Motovun with a brandy tasting, we couldn’t resist. We only tried two types of brandy as we still had wineries to visit, and really liked both of them. One Biska was honey-infused and the other wasn’t. I honestly would have gotten a bottle of each but then there is the whole bringing it home in the suitcase thing and exceeding the airline’s weight limit in a checked bag thing. 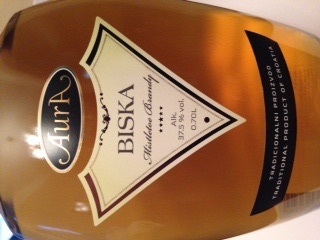 My husband is not as big a fan of sweet spirits as I am so we got the traditional Biska. And because the town sits up on a hill, the views from the walled city were beautiful! After finishing up in Motovun we stopped for our first scheduled tasting, which would also serve as lunch, at Restaurant Zigante in the town of Livade. Istria is known for its amazing truffles and is actually in the Guinness Book of World Records for the largest truffle ever found. So it only made sense that we try some truffles while we were there. 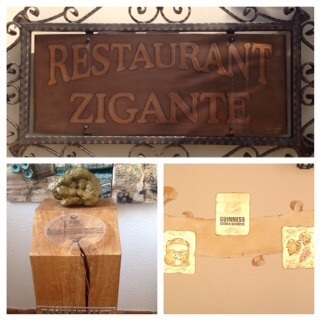 Outside the restaurant, a replica of the record setting truffle, and a wall of fame about the truffle. Now I really “discovered” truffles (late to the party I guess) about seven or eight years ago from a restaurant in Houston that seemed to use truffle oil on just about everything. Since then, I’ve bought truffle oil, truffle butter, and most recently truffle salt trying to recreate some of their amazing dishes. What can I say, it’s just that good. But anyway, back to Livade. We sat down to do our first ever truffle tasting and still weren’t entirely sure what to expect. All of the dishes we tried had the local black truffle. The rarer, white truffle was not in season while we were there. 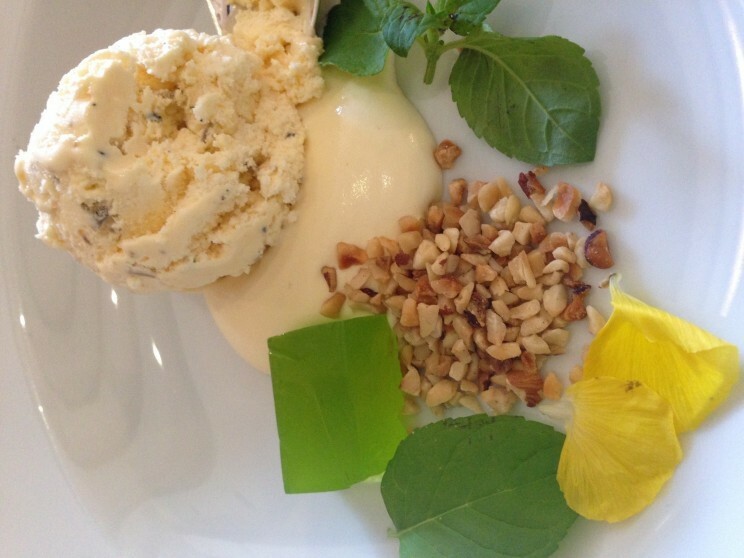 The tasting consisted of three courses as well as two local Croatian wines – a Malvazija and a Cabernet Sauvignon – to pair with the dishes. 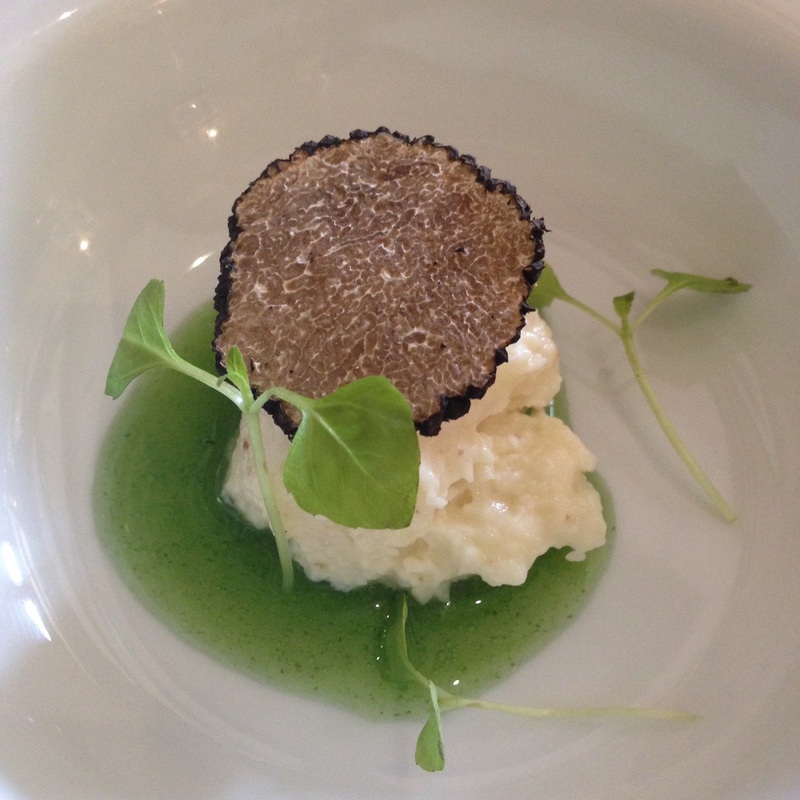 The first course was a sheep cheese mousse with black truffle. 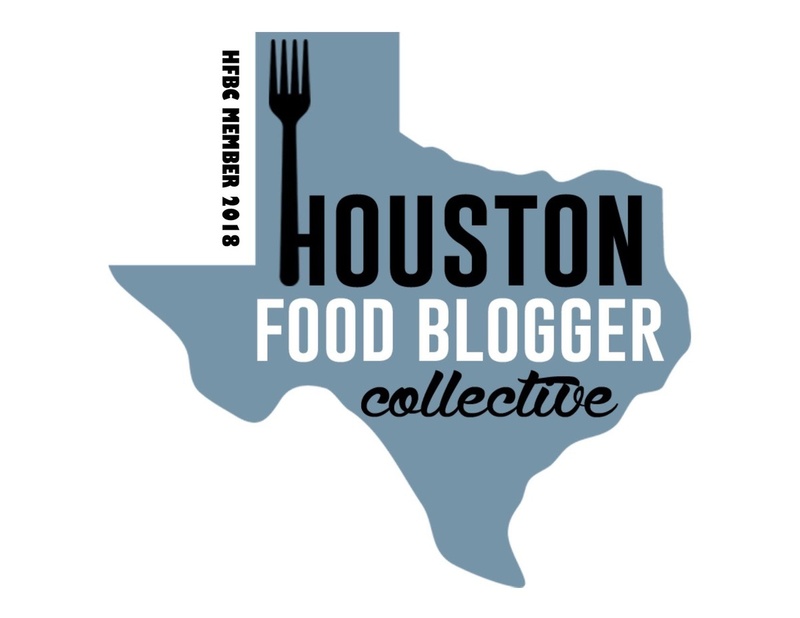 Just trust me on this (I’m a Southern girl that grew up eating mustard greens and candied yams) – it was amazing. Even my husband, who is not a fan of “shi shi” food as he calls it, was a fan. 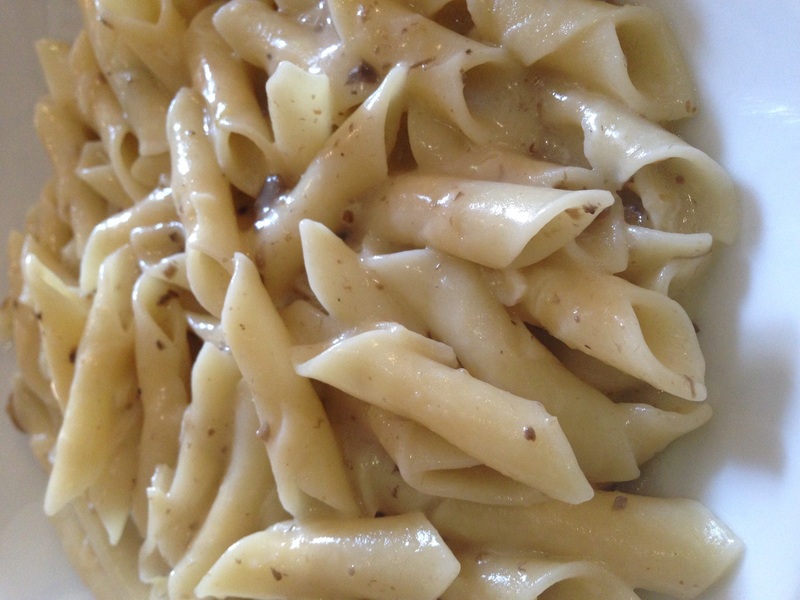 The second course was fuzi (pasta) with truffles. This was equally delicious and it was at this moment that I finished my Malvazija and was brought the Cabernet Sauvignon. I have to say that I liked both wines with the fuzi. The final course was a truffle ice cream with green apple gelatin. Yeah, I was skeptical too. But it was wonderful. I usually don’t do a lot of dessert (why not devote those calories to wine) but I assure you I finished every bite. It really was a surprise and not something I imagined I would even like. Just goes to show you that you never know until you try something. All in all this was a great tasting and an experience that I would highly recommend. An added bonus was that it served as a great way to coat the stomach to prepare for the upcoming wine. Now done with the truffle tasting, it was time to hit the wineries. 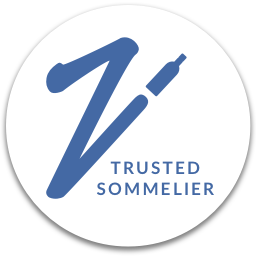 Several different wines are produced in Croatia, but Istria has two indigenous varietals – Malvazija (“mal-vas-zee-uh”) which is a white varietal and Teran which is red – that are abundant and really shine. In addition to the great, attentive service at all of the wineries, I will point out that they will hook you up with the meat and cheese. My husband was in sausage (and prosciutto, etc.) heaven! 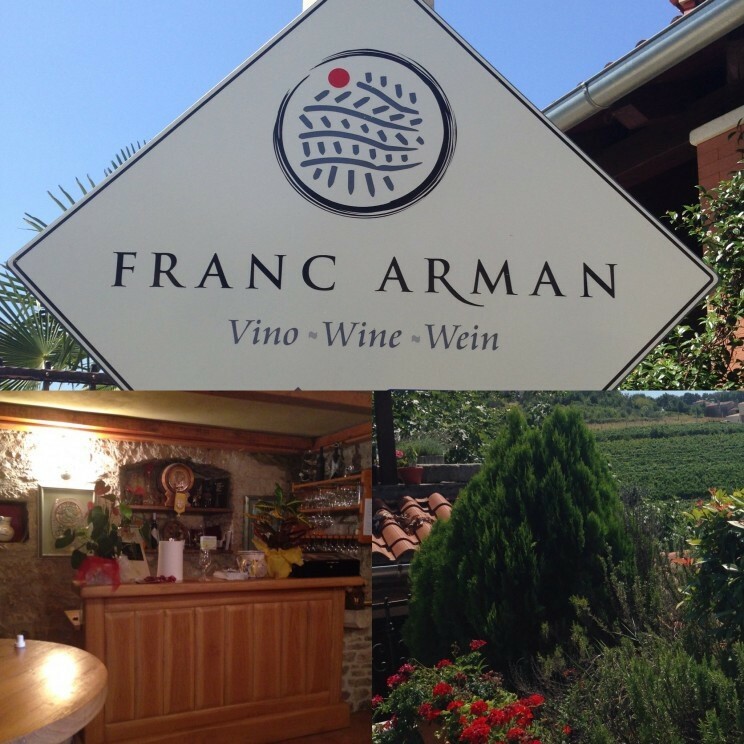 Our first winery stop was to Franc Arman Vineyards in the town of Vizinada. Oliver Arman (one of the owners) performed our tasting and he was such a delight. He made the experience so enjoyable and had us laughing a good bit of the time. We tasted six (well I had a seventh) wines. I think we were initially scheduled to taste five wines, but ended up being able to taste an additional wine. The first two wines we tasted were 100% Malvazija, with the first seeing no oak and only stainless steel and the second, which they termed their “classic” Malvazija, seeing some oak. As expected the first wine was extremely fresh and crisp and would be quite easy to sit and drink on its own as well as consume with some shellfish. Oliver mentioned that it’s almost too easy to drink and the bottles just seem to “get consumed” when you’re sitting around on a hot day. I can certainly see why! 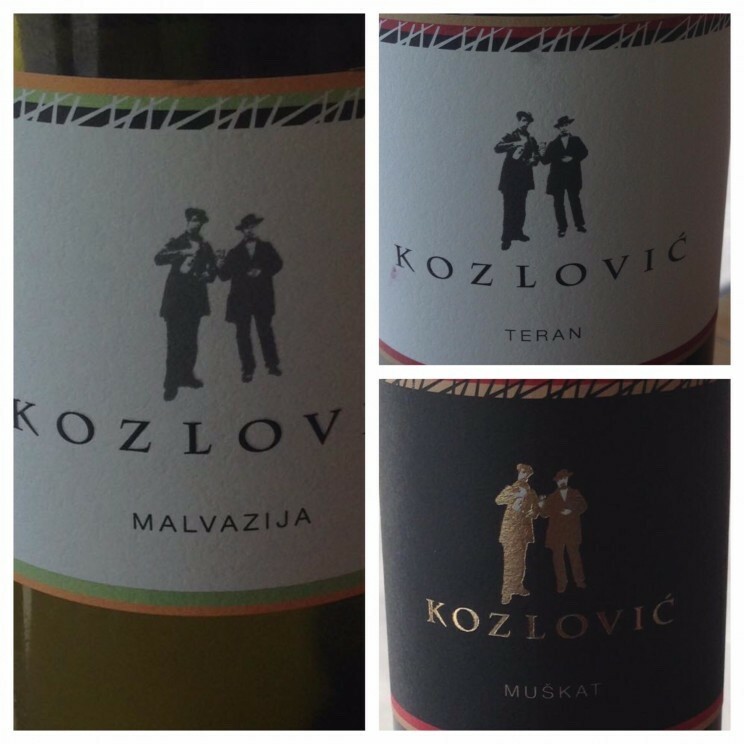 The second Malvazija was a bit heavier and more complex with some notes of vanilla and spice, having spent some time in oak. 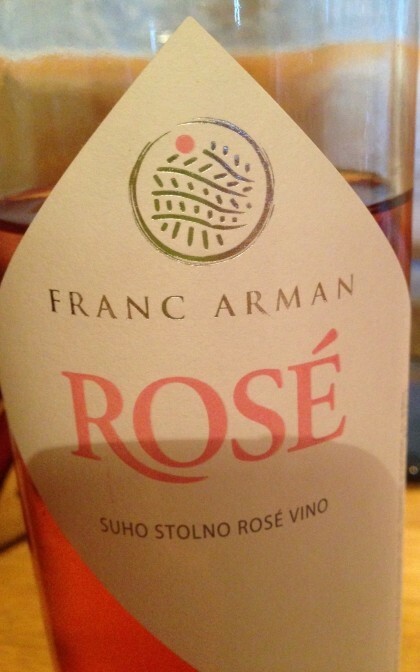 After the Malvazija, we had a Rose, which was comprised of 50% Cabernet Franc. It was during this discussion where I told Oliver how I was a huge fan of Cabernet Franc, how it was an underrated varietal and how difficult it was to find on its own. Well that’s when he brought out a bottle of his Cabernet Franc for us to try. This wasn’t originally planned for us to try, but when he heard that I really liked it, he let us try that too. And good thing as it was my favorite wine I tried. An interesting fact about the Cab Franc is that 50% sees time in a smaller barrique barrel that holds around 225 liters (59 gallons) and 50% sees time in a larger 2000 liter barrel. The difference is that in the smaller barrel, more of the wine comes in contact with the oak of the barrel, whereas with the larger barrel, less of the wine comes in contact with the oak of the barrel. After one year, the wine is blended together. 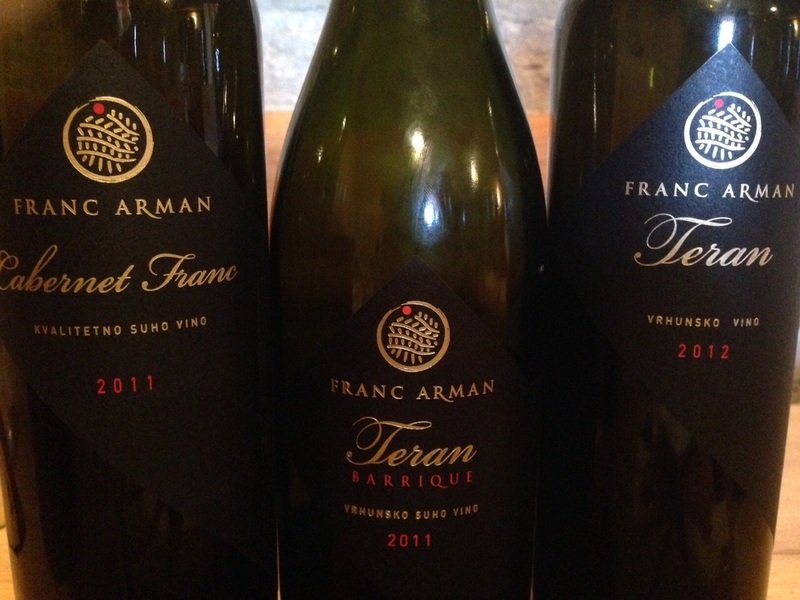 The last two wines we tried were Teran Barrique and Teran – the first being aged in the smaller barrique barrel and the latter in the larger 2000 liter barrel. While I liked both of the Terans, I liked the Teran Barrique a little bit more as it was the smoother of the two. In the end we bought a bottle of the Malvazija that spent time in stainless steel, the Cab Franc of course, and the Teran Barrique. I wished I could have gotten more, but those pesky suitcase limitations keep me in check. And as I was waiting to pay for my purchase (my husband was somewhere outside looking around), I also had a taste of their Dolcetto as dessert. I bought a bottle of their amazing olive oil as well. We’d had some with the bread, meat, and cheese they brought out during the tasting and I had to get some to take home. Our next winery stop was at Kozlovic Winery near Momjan. 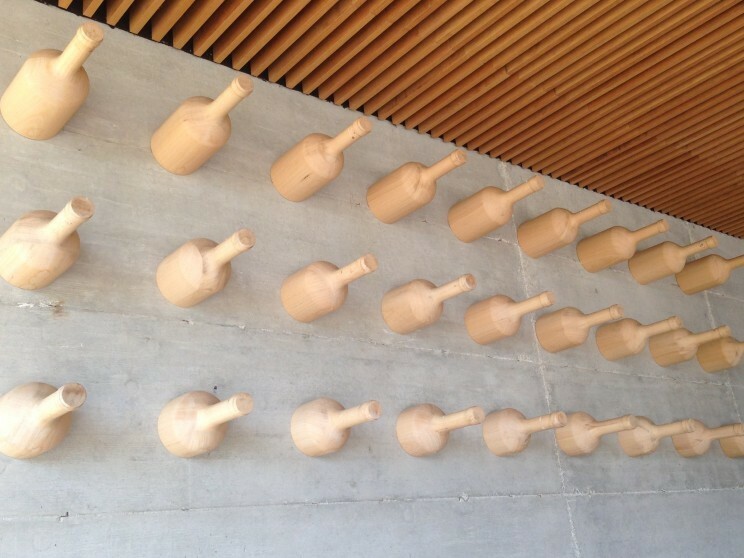 The scenery around the winery was stunning with a very new and modern tasting room. It was a gorgeous day so we sat outside on the terrace up on the hill overlooking the vineyards and the meadow below. Pictures just cannot do it justice. I could have sat there for hours. Here we tasted three wines – a Malvazija, a Teran, and a Muscat. 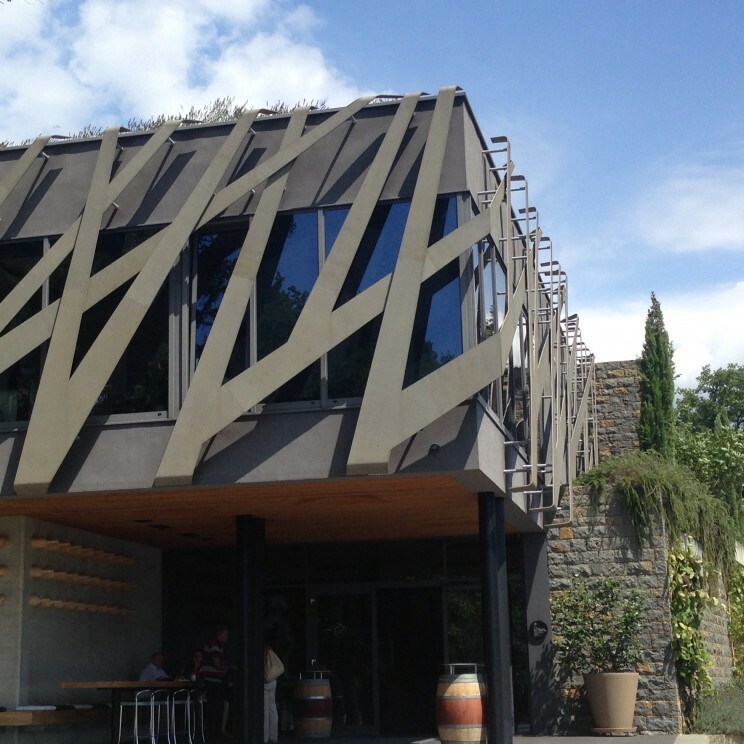 We were a bit short on time as we’d spent so much time at our first winery, but it was a pleasant experience nonetheless. We ended up buying a bottle of Teran. 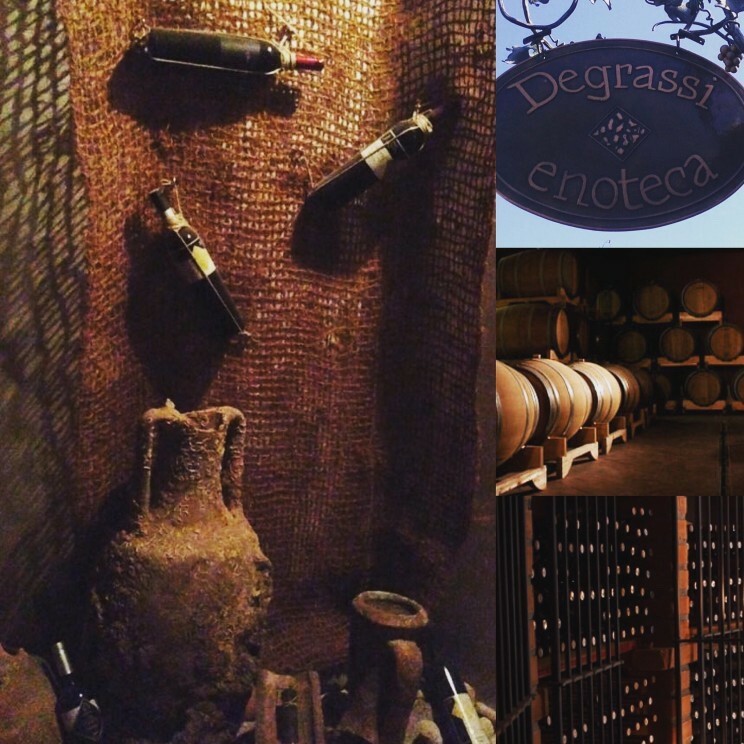 Our last winery was Degrassi in Savudrija. Though not as scenic as our last stop, the wines more than made up for it. And we had so much fun here with the winemaker that I forgot to take pics of the wine! 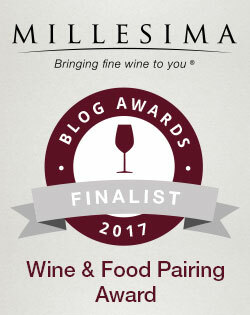 We tasted a Malvazija, a Teran, and a red blend called Terre Bianche Cuvee which had Cabernet Sauvignon, Cabernet Franc, Merlot, Petit Verdot, Syrah, Pinot Noir, and Refosco blended. We chose the Cuvee to taste after we told them we had an interest in Pinot Noir and Cab Franc and this particular wine had both blended in. Apparently the blend varies depending on the vintage. And while I did like the Cuvee, the Teran was excellent! It was by far the softest, most approachable Teran we’d tasted and we had to get some to take home. Part of this had to do with the age of the wine as the folks at Degrassi bottle the Teran vintages later than some of the other wineries. Most of the other Teran we’d tasted was from much younger wines. The Degrassi Teran had a bit more age so it had softened some. Based on this, I think I’ll lay my other Terans down for a while and see how they mellow. On a whim, as I was purchasing my bottles of Teran, I also grabbed a bottle of their reserve Cab Franc (on faith) to take home. I’m sure it will be great as well. Feeling quite nice from our Croatian wine tasting adventure for the day, our driver took us back to Rovinj via the Lim Fjord, which was so beautiful. I really do I hope I get the chance to go back to Croatia – not only back to Istria but to other parts of the country to try some other Croatian wine.